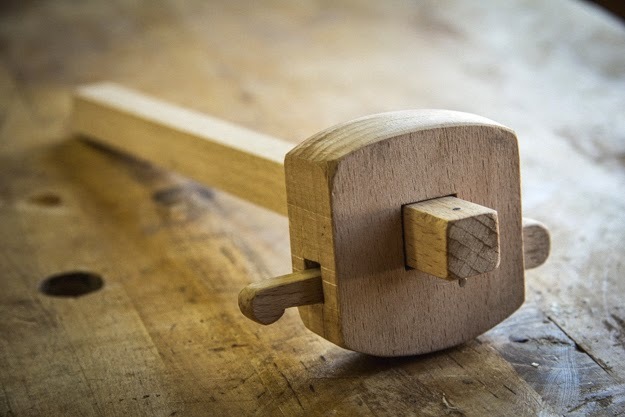 I recently made this marking gauge taken from Dean Jansa’s Popular Woodworking article in 2009. 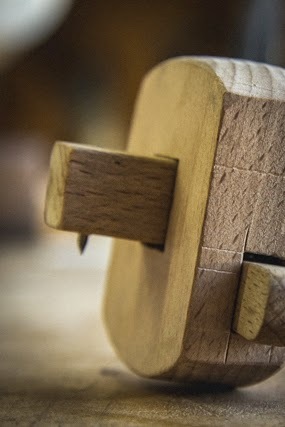 My other wooden gauge is of the English screw-locking variety and I was always happy enough with its performance. That is until I saw Bob Rozaieski’s video. When I watched him set the French gauge entirely with one hand, its efficiency became immediately apparent. It locks by wedge action so that once you have your depth aligned, you can press the wide end of your wedge with your thumb. With it secured by thumb pressure, one quick tap on the bench top drives it in tight. 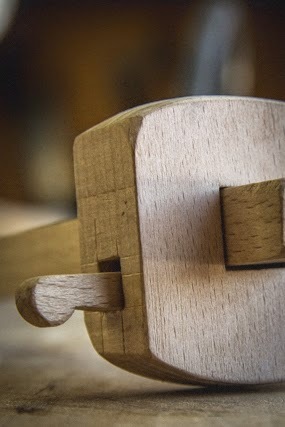 To release, tap the small end of the wedge on the bench. Also, the wedge is captured when the arm’s installed so you don’t have to worry about the little guy falling out during your work. I’m happy I finally made this gauge. If you haven’t tried one, watch Bob’s video and then make one for yourself. You won’t regret it. Good looking gauge there Josh! 😉 They're still my favorite style. I recently did one in a cutting gauge style too. A bit more complex to construct but also a nice gauge. Thanks, Bob. I'd be interested to see your cutting gauge version sometime. Thanks for your video. I have always enjoyed them. Great post. Grabbed the PDF of the article ( free ). I have a few, but have always wanted to make some. What did you use for scratch ? Nail? Bartee, I used a 5/64" drill bit like Dean did. A nail would work fine, though.